Luke Shaw is set to reject the chance to sign for Fenerbahce in the January transfer window, as he attempts to save his United career by staying and fighting for his place. The left-back has continued his struggles for form and fitness of late, and with his contract set to expire at the end of the season, it looked likely that he would decide to call it quits at Old Trafford, and leave the club in January. United will not hinder him from leaving if he decides to depart, with recent reports suggesting the higher ups have told Jose Mourinho to sell his fringe players if he wants to add more recruitments to the squad in the winter transfer window. However, Shaw remains determined to fight for his place and become the club’s main left-back. According to Daily Mail, he is set to turn down an approach from Turkish Super Lig side Fenerbahce in January and stay with his current employers. It may require a lot more effort now than ever before to make the grade under Mourinho though, as the Portuguese boss remains unconvinced by the 22-year-old’s work ethic. Shaw is back from injury, but has played only 48 minutes of football this season, and with Marcos Rojo set to come back, he faces an uphill battle to become United’s first choice. Mourinho has admitted that there is still a place for the Englishman in the squad, but also added that “he has to work, “indicating that the youngster is just not doing enough. 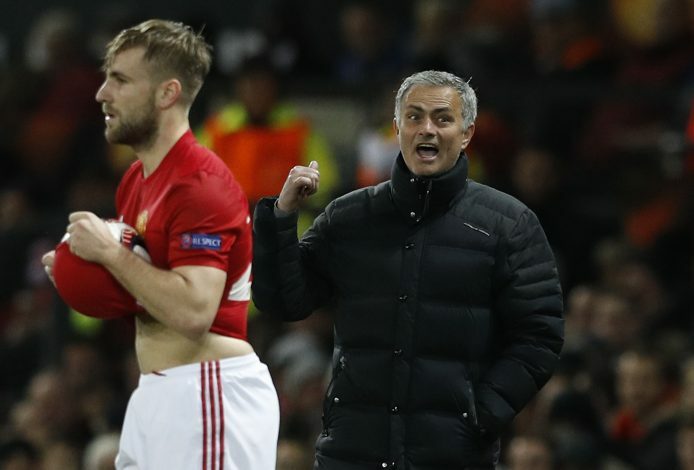 However, Shaw does not appear to be put down by his manager’s comments, and is determined to turn his Old Trafford career around.